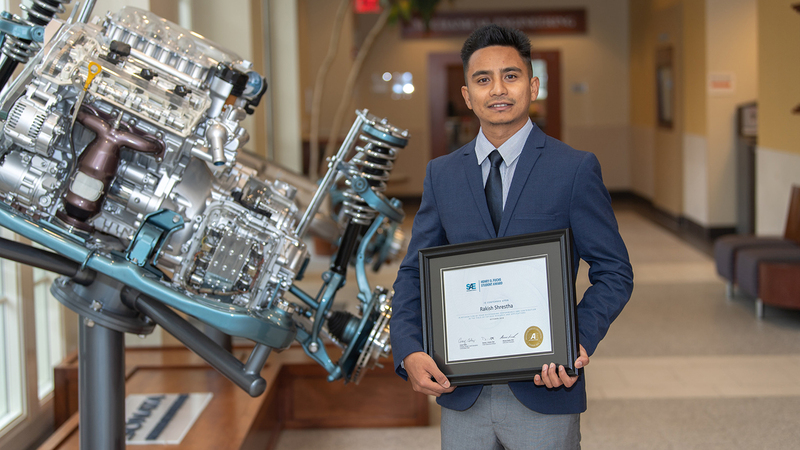 Rakish Shrestha, a doctoral student in Auburn University’s Department of Mechanical Engineering, has been selected as the fall recipient of the SAE International Henry O. Fuchs Student Award. Established in 1991, the Henry O. Fuchs Student Award recognizes a graduate or recently graduated student working in the field of fatigue research and applications to promote the education of engineering students in the area of fatigue technology. Shrestha works under the direction of Nima Shamsaei, director of the National Center for Additive Manufacturing Excellence in the Samuel Ginn College of Engineering. His research has primarily focused on characterizing the mechanical behavior of polyether ether ketone under cyclic loading and obtaining the appropriate fatigue models. He is currently using the knowledge gained from past research to examine the fatigue behavior of polymer-based materials under more realistic multiaxial loading and additively manufactured metallic materials. 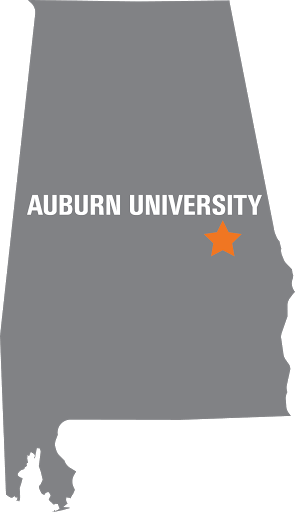 Since beginning his graduate studies, Shrestha has published multiple peer-reviewed journal articles and conference papers and has received numerous awards, including the 2018 Outstanding Mechanical Engineering Student Award, the Auburn University Graduate School’s 2017-18 Outstanding Doctoral Student Award and the 2017 ASTM International Graduate Scholarship Award. The award honors the memory of Professor Henry O. Fuchs, who participated in the SAE Fatigue Design and Evaluation Committee’s research projects, was a member of the faculty who founded the SAE Fatigue Concepts in Design short course, published extensively in SAE and elsewhere in the technical community, and actively participated in the Surface Enhancement Division of the Committee, which is responsible for many standards relating to surface treatments of metals for withstanding fatigue damage. SAE International is a global association committed to being the ultimate knowledge source for the engineering profession. By uniting more than 127,000 engineers and technical experts, the association works to drive knowledge and expertise across a broad spectrum of industries.